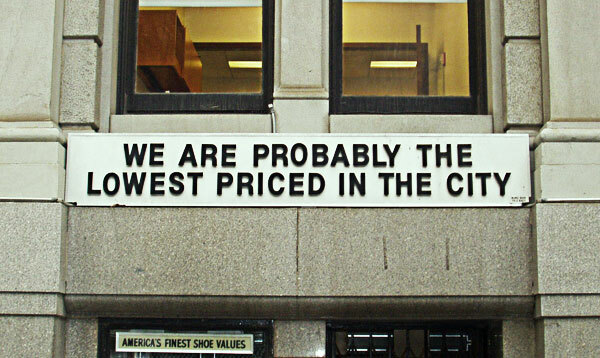 This small sign hangs above a nondescript shoe store on Trinity Street in New York City. It fills my belly with copywriter envy. ← Check this site out on AOL! No, seriously, click it.